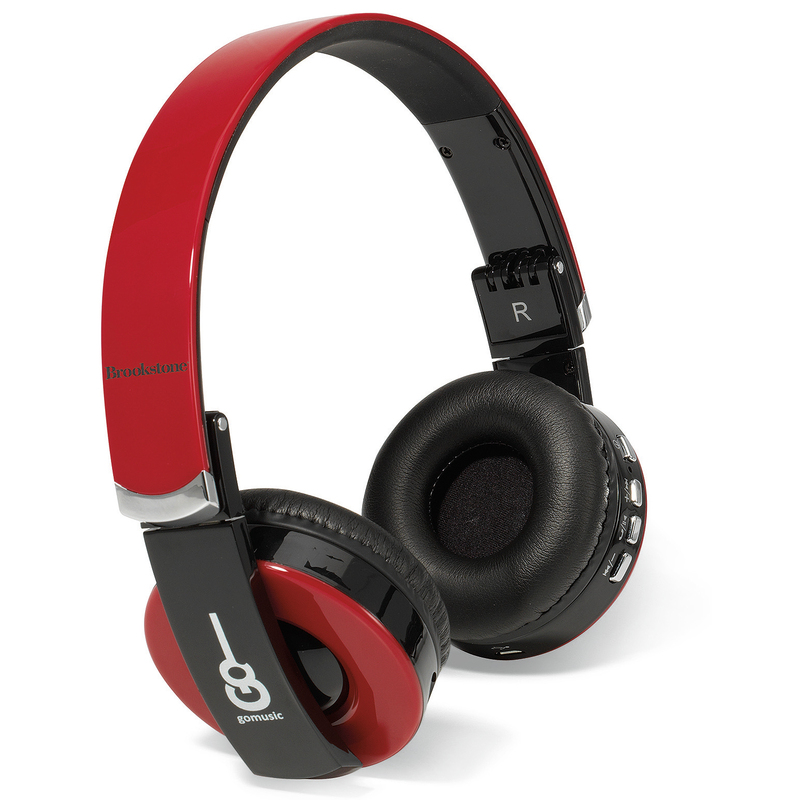 Product code: 20584 Category: Speakers & Headphones. Size Choose an option2 in. x 4 in. x 4 in. Setup Charges :$60.00 per location. 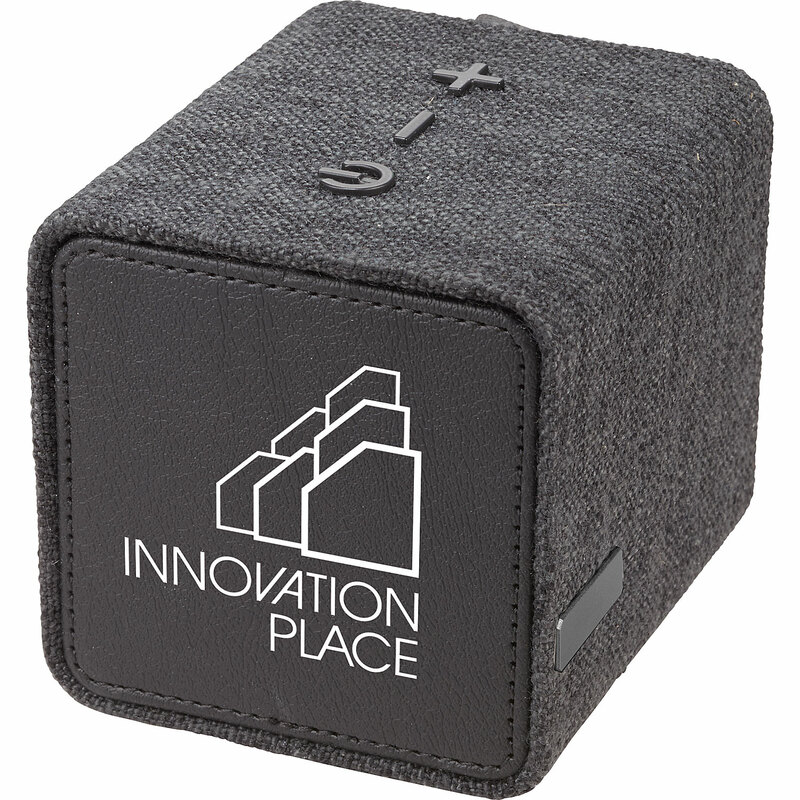 Pricing includes a four colour imprint on one location of case* May vary according to product availability from supplier. ** Price subject to change without notice. 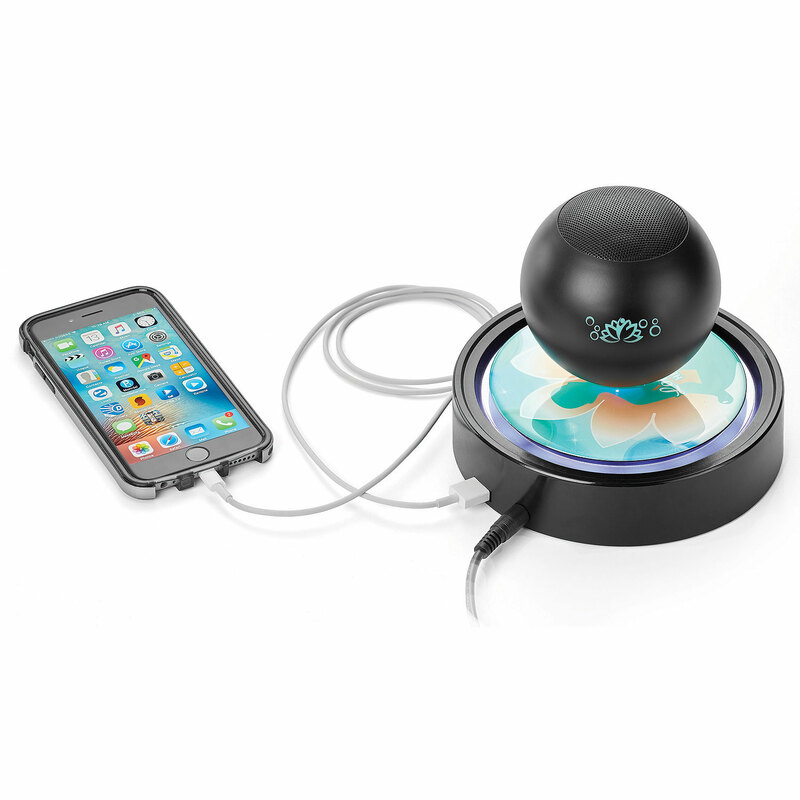 This levitating sphere speaker is out of this world! 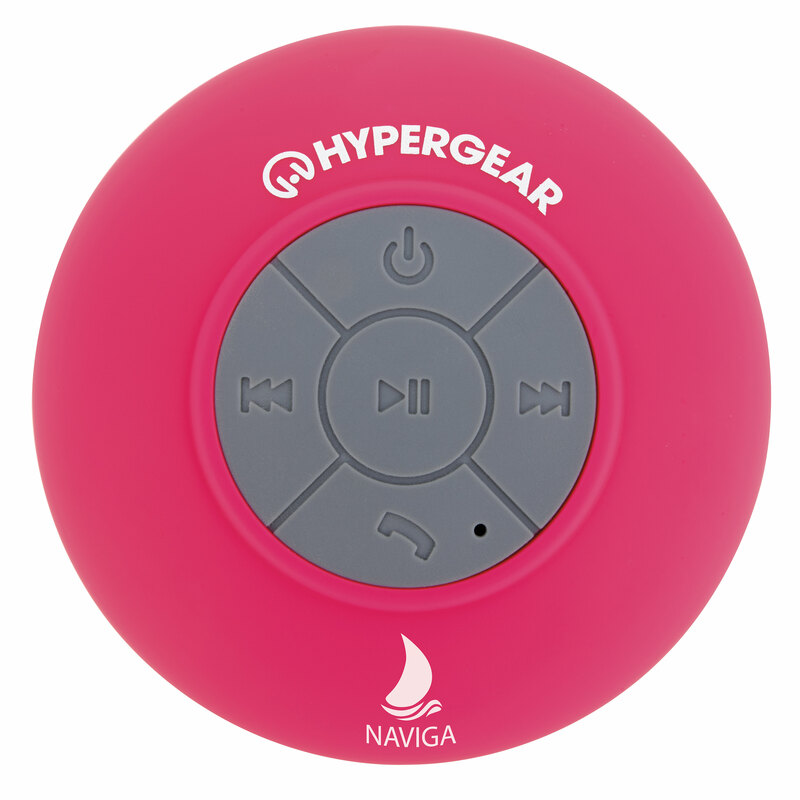 The wireless V4.0+CSR (3W x 1 speaker output) air orb speaker is sure to draw a crowd at your next event. This futuristic speaker constantly rotates while levitating over the magnetic base and will play your favourite songs. The speaker easily pairs with your smartphone and tablet to make the perfect vehicle for both branding and sound. It includes a grade A 1,400 mAh lithium polymer rechargeable batter, DC 12V/2A UL certified wall charger, and a power input of 5V/1.5A USB port to recharge smartphones and tablets. Sensitivity 80dB. 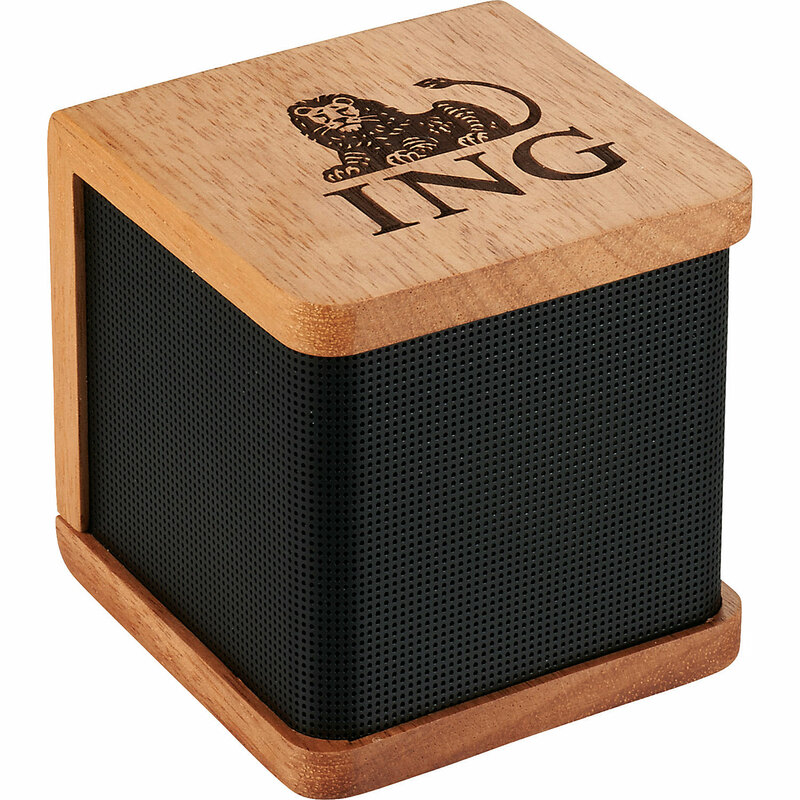 Show your appreciation this holiday season with this beautiful speaker! the Seneca bluetooth speaker is made from real mahogany wood and produces a sound that is as natural as the wood it's made from. 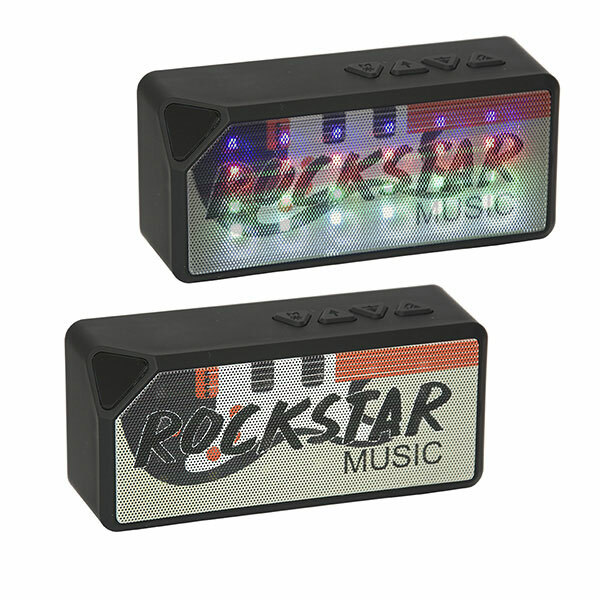 It features a 3 watt audio channel for premium sound and has a bluetooth working range up to 10 meters. Enjoy up to 3 hours of music a max volume on a single charge. Includes a micro USB to USB charging cable and a 3.5mm auxiliary cable. 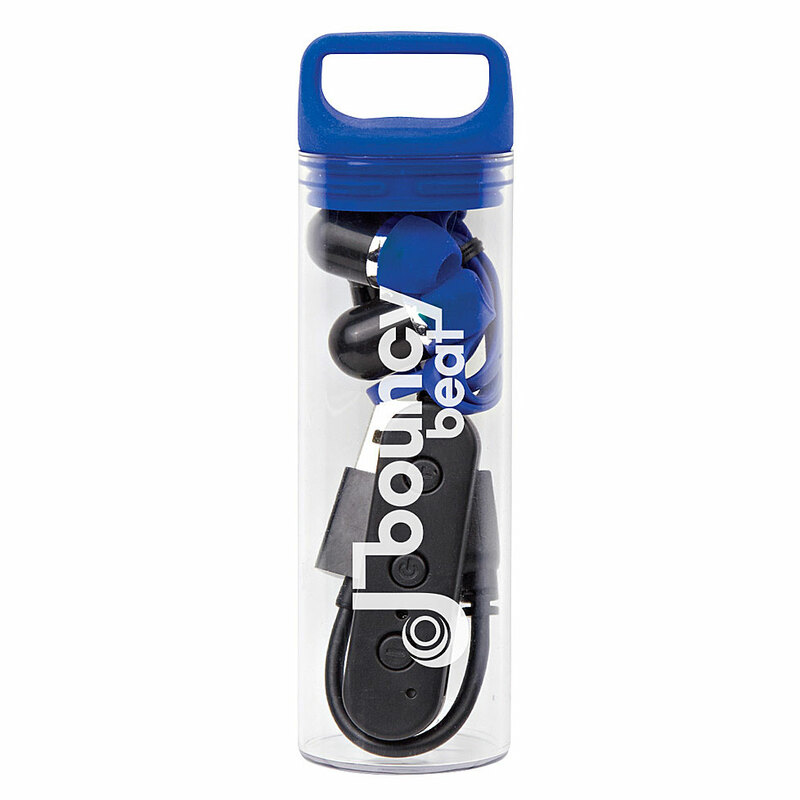 These wireless earbuds feature Bluetooth® 4.2 wireless technology and a built-in microphone with volume control. 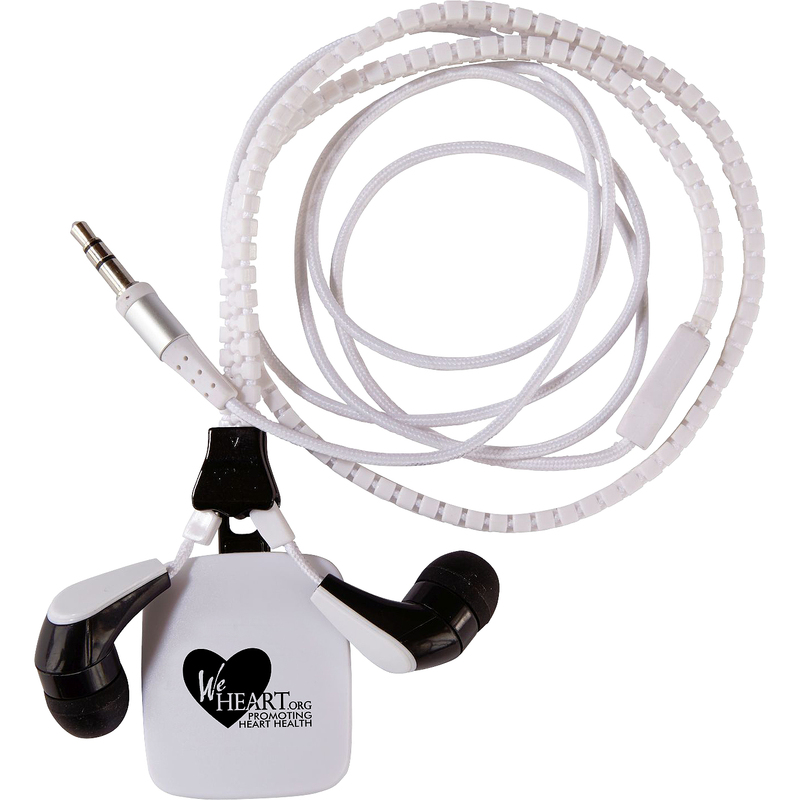 These earbuds come in a protective plastic travel case and you can pair them with your smartphone to listen to music or receive hands free calls. It's small size makes it easy to take anywhere you go. It pairs from up to 30 feet away and includes a 55 mAh battery with the charging cord included. They are simple to use; just press the +/- buttons to advance through selections and hold down to change the volume. These earbuds give you up to 2 1/2 hours of play time and up to 1 1/2 hours of talk time. Connect to your wireless device from up to 33 feet away! This speaker has a water-resistant shell that is easy to clean and has a built-in speakerphone for making and taking calls. The fully charged batter provides up to 6 hours of play time. 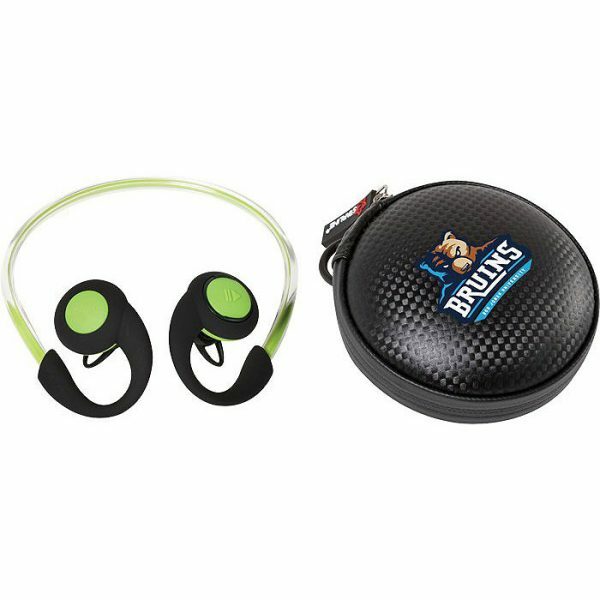 Features a large suction cup attachment perfect for sticking to any flat surface or to use as a tablet holder, easy to operate controls include skip, volume, on/off, and call connecting. Be trendy with this Bluetooth speaker. Featuring a knit fabric cloth the speaker has a soft touch, but don't let that fool you it comes with a 3 watt speaker driver. With a built-in microphone you can have a conference call without even touching your phone. You can control the music and volume right from the speaker with the built -in music control. With a Bluetooth working range of up to 33 feet the speaker comes with a micro USB to USB charging cable and a 3.5mm audio cable. Enjoy 3 hours of playback time at the max volume, the speaker has a charging time of 1.5 hours. A fun way to promote your brand! The Little Buddy is made from PU and ABS materials and includes earbuds. 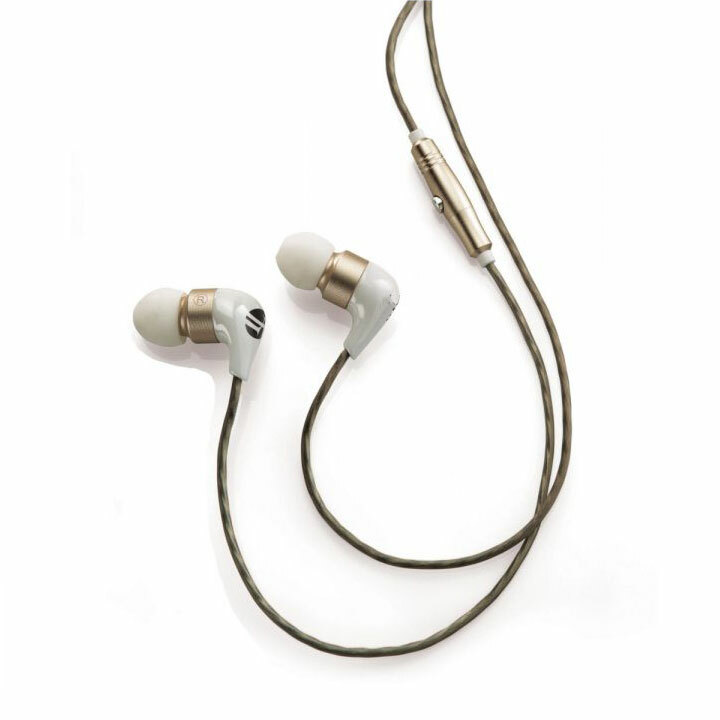 The earbuds allow you to answer calls through a built-in microphone, and listen to music with great sound quality.